New – recycling electronic newsletter! Save paper and check out the latest environmental news from the Public Works Department! Sign up to have our next issue delivered directly to you! and email address to ASherman@TorranceCA.Gov. In the subject line, please say: “Add me to e-newsletter list.” Your email address will only be used for purposes of this newsletter. Visit the Torrance Public Works website for more information. A Guide on How to Handle Old or Unused Pesticides! Plants, insects, bacteria, fungi and other organisms are a natural part of the environment. Some can benefit people, while others can be pests that you may need or want to control. You can choose from many different methods to control a pest. One method is to use a pesticide. 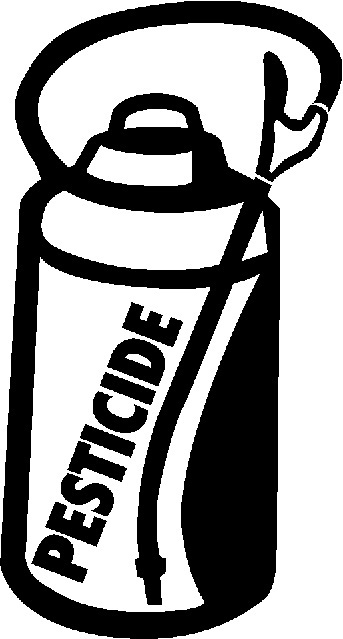 A pesticide is any substance or mixture of substances used to destroy, suppress or alter the life cycle of any pest. It is important that pesticides are used only where they are absolutely justified. It is essential that you carefully identify the pest you wish to control and then fully consider all the control options. When using a pesticide you must always follow label directions. Most common pesticides contain toxins and are categorized as household hazardous waste (HHW). Improper disposal of pesticides can result in accidental poisonings of children, pets, and wildlife, so it’s important that you avoid certain habits when getting rid of leftover pesticides. Do NOT pour leftover pesticides down the sink, into the toilet, or down a sewer or street drain. Never reuse pesticide containers to carry or store other items, especially food or drinks. When empty, triple-rinse and dispose of the container according to label instructions. Never puncture or burn a pressurized or aerosol container – it could explode. The best way to dispose of small amounts of excess pesticides is to apply them for the specified pest according to the directions on the label. If you have no further use for them, ask your neighbors whether they have a similar pest control problem and can use them. The donated pesticide must be in its original, fully-labeled container. Make sure that the person who receives it can read and follow the label directions. Always follow the label directions for disposal. Drop off at a Household Hazardous Waste Round-Up or permanent location. Visit Los Angeles County Sanitation District website for more information on upcoming events and locations. 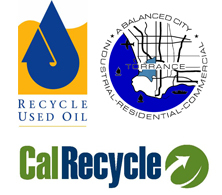 Visit the City of Torrance Public Works Household Hazardous Waste homepage for more information.